Explicit DJ ClaSICK Presents: The Indy Artist Realm Ep. 100 !!! 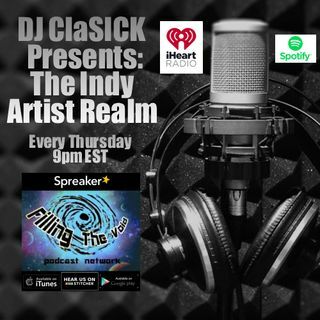 The Special 100th Episode of DJ CLaSICK Presents: "The Indy Artist Realm" featuring the best of the independent music scene now and tracks from the previous episodes here for the first time ! Yea! Congratulations on your 100th episode!